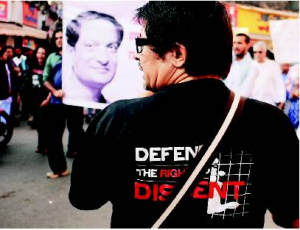 Activist and lawyer Aires Rodrigues on May 26 filed a petition before the Bombay High Court at Goa seeking the transfer of the search for the absconding convicted former Minister Mickky Pacheco to the Central Bureau of Investigation (CBI). The petitioner gave the sequence of events leading to Mr. Pacheco’s conviction by the High Court and the Supreme Court on March 30. The former Goa Minister and MLA, Mickky Pacheco, surrendered before a court in Margao on June 1 . He was absconding for nearly two months following his conviction in a case of assault on a government servant. He was later formally arrested by Goa police and sent to Sada jail in Vasco in south Goa after medical check-up.Former minister and Nuvem MLA Francisco (Mickky) Pacheco was taken to the Goa Medical College and Hospital two times time since being imprisoned at Sada sub-jail . Aires Rodrigues’ advocate made a complaint with the IG prisons alleging that Pacheco was taken to Goa Medical College (GMC) and Hospital, Bambolim, without his prison uniform after he complained of a health problem on Friday evening, the officer said they have sought a report from the jail superintendent at Sada sub-jail in the matter. 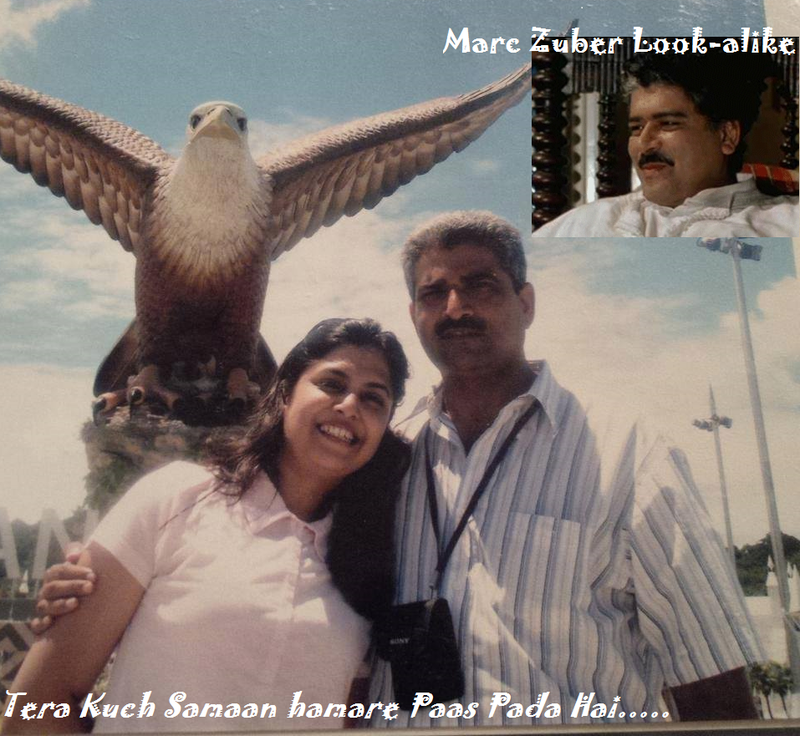 Adhinath Bhaje was the duty officer at Sada sub-jail when Pacheco was taken to hospital. The convicted and now jailed Goa former Minister Mickky Pacheco in violation of the Goa Prison Rules is being given VIP treatment at the Sada Jail where he has on June 1st commenced undergoing the six month jail sentence for having in 2006 assaulted Electricity department Junior Engineer Kapil Natekar. Chief Minister Laxmikant Parsekar and Defence Minister Manohar Parrikar after helping their friend Mickky Pacheco abscond for two long months, are now covertly pressurizing Sada jail authorities to go all out to help Mickky Pacheco as he is an MLA supporting the current BJP Government. The government is making a mockery of the judiciary by high-handedly giving Mickky Pacheco VIP treatment in jail. 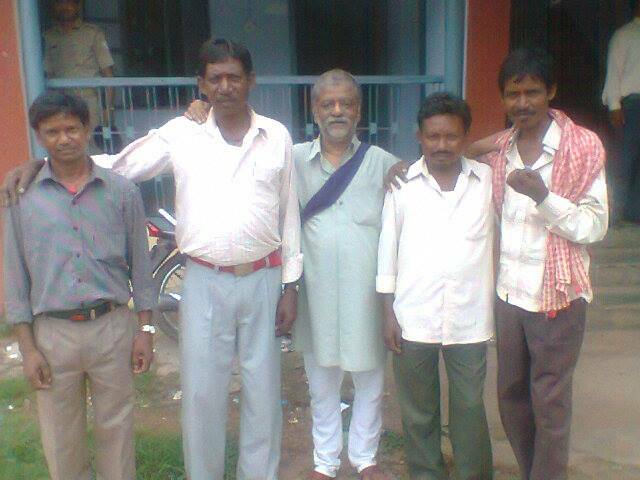 If Mickky Pacheco is not treated on par with other convicts it would be appropriate to move the High Court seeking that Mickky Pacheco be transferred to a jail in neighboring Karnataka or Maharashtra, so that he undergoes the jail sentence strictly in accordance with law without any political patronage. A detailed documented report of how the jail rules are being flagrantly breached to unlawfully benefit Mickky Pacheco would be submitted to the Court. Mickky Pacheco has not been convicted for a petty crime but a very serious offence against the State of having as a Minister assaulted a public servant. His conviction was upheld by four Courts and the Supreme Court as well. It is a matter of concern that watching this sordid Mickky Pacheco Saga the people of Goa will be losing their faith and trust in the justice delivery system if the rich and the politically well connected are allowed to be above the law. There cannot be two yardsticks for convicts. The law mandates that they all be treated alike. With such an outlook, a clash with Dr Bhimrao Ambedkar was inevitable. Clash they did, directly, sharply and in person at the Round Table Conference in London. Back in India, they arrived at a compromise on reservation of seats and signed the famous Poona Pact on September 24, 1932, to enable Gandhi to call off his fast. Ambedkar was under great pressure and was none too happy about his climbdown. As if this and the clash in London were not enough, there came to light a singularly sordid stratagem by Gandhi in London—he offered to concede the demands of the Muslim Delegation, led by the Aga Khan, if it supported him in his opposition to Ambedkar’s demand for separate electorates for the untouchables. The Muslims refused. The offer was made in writing in a document dated October 6, 1931. The clash is well recorded in the proceedings of the Committees of the Round Table Conference reproduced in Volume 2 of Dr. Babasaheb Ambedkar: Writings and Speeches (compiled and edited by Vasant Moon, Education Department, Government of Maharashtra) and in Ambedkar’s work What Congress and Gandhi Have Done to the Untouchables (Bombay 1945). It has the added advantage of Ambedkar’s personal testimony about the proceedings of the conference, which was inaugurated on November 12, 1930, by King George V. Nine committees were set up, including the Minorities Committee (Chapter III, “A Mean Deal”). Another was the Federal Structure Committee. The Congress boycotted the first session of the conference. As a result of the pact between Lord Irwin and Gandhi on March 5, 1931, Gandhi participated in the second session as the sole representative of the Congress. The first session had agreed on representation of “the Depressed Classes”. Ambedkar remarks: “This was nothing but a declaration of a War by Mr Gandhi and the Congress against the Untouchables. In any case, it resulted in a war between the two. After this declaration by Mr Gandhi, I knew what he would do in the Minorities Committee which was the main forum for the discussion of this question. Mr Gandhi was making his plans to bypass the Untouchables and to close the communal problem by bringing about a settlement among the three parties, the Hindus, the Muslims and the Sikhs. He had been carrying on negotiations privately with the Muslims before the Minorities Committee met” (emphasis added, throughout). The meeting held outside the conference, presided over by Gandhi, was a fiasco. He dissolved it before discussing Ambedkar’s case. On October 8, 1931, when the Minorities Committee met, Gandhi said that a solution would follow independence. Ambedkar replied in anguish: “What disturbs me after hearing Mr Gandhi is that instead of confining himself to his proposition, namely, that the Minorities Committee should adjourn sine die, he started casting certain reflections upon the representatives of the different communities who are sitting round this table. He said that the Delegates were nominees of the Government, and that they did not represent the views of their respective communities for whom they stood. 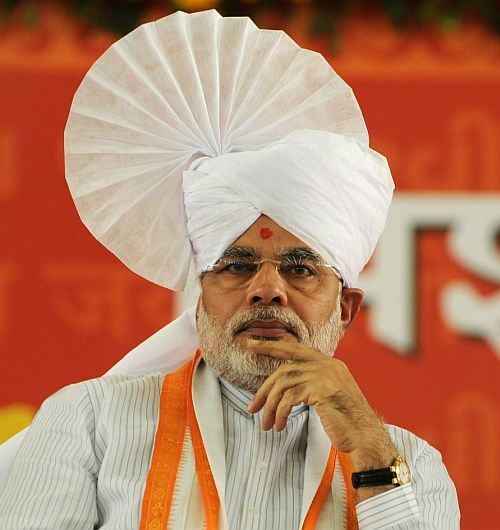 We cannot deny the allegation that we are nominees of the Government, but, speaking for myself, I have not the slightest doubt that even if the Depressed Classes of India were given the chance of electing their representatives to this Conference, I would, all the same, find a place here. I say therefore that whether I am a nominee or not, I fully represent the claims of my community. Let no man be under the mistaken impression as regards that. “The truth, however, is that it was the Aga Khan himself who assured Mr Gandhi in the presence of several Indian delegates, including myself, that if the Hindus or the Congress agreed to Muslim demands, the entire Muslim community would be ready to serve as his (Mr Gandhi’s) camp-followers in the political struggle. In a statement issued in New Delhi on December 13, 1933, Gandhi gave his version: “What Sir Mohammed Iqbal calls two conditions attended to my personal acceptance of the Muslim demands were no conditions but the necessary consequence of my acceptance. Political unity was desired for political end which for me as for any Indian be a Hindu, a Muslim, a Christian or any other, could only be complete national independence in the fullest sense of the term. The Muslim demands were presented for arriving at common action. The Muslim friends in London were playing other minorities against vital national interest. If they accepted me as their ally, as I offered to be in uttermost sincerity, my alliance could only be for combating every force that was inimical to India’s freedom. It was, therefore, necessary to fight the spirit of separateness no matter from what source it arose. No Muslim had defended separate electorates as a thing good in itself. Even in their case the Muslim friends had admitted it as a necessary evil to be tolerated for a temporary period. “The doctrine, therefore, did not admit of indefinite extension. The demand put forth on behalf of the so-called untouchables was clearly anti-national” (The Tribune; December 15, 1933). The following proposals were discussed by Mr Gandhi and the Muslim Delegation at 10 p.m. last night. 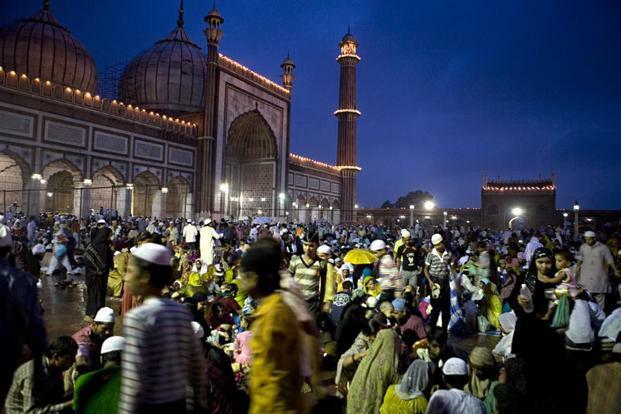 They are divided into two parts—the proposals made by the Muslims for safeguarding their rights, and the proposals made by Mr Gandhi regarding the Congress policy. 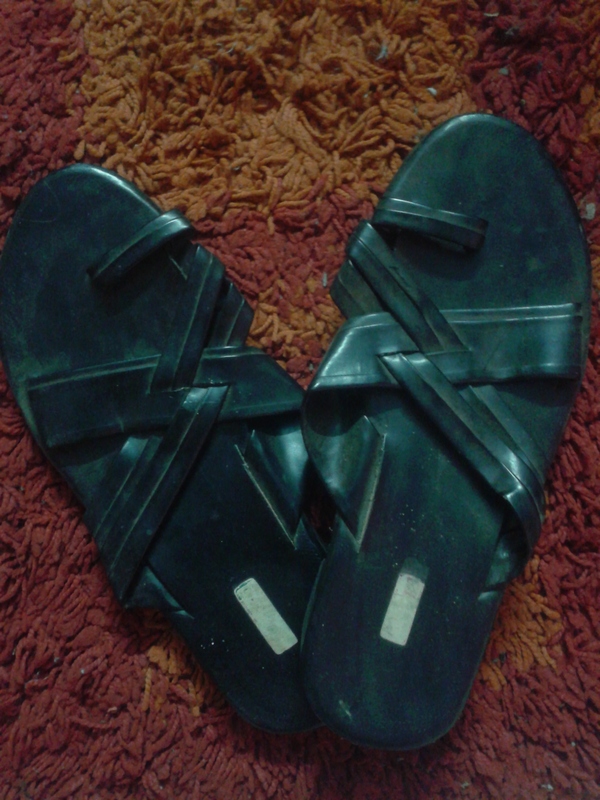 They are given herewith as approved by Mr Gandhi, and placed for submission to the Muslim Delegation for their opinion. 1. In the Punjab and Bengal bare majority of one per cent of Musalmans, but the question of whether it should be by means of joint electorates and reservation of 51 per cent of the whole house, or separate electorates with 51 per cent seats in the whole house should be referred to the Musalman voters before the new constitution comes into force and their verdict should be accepted. 2. In other provinces where the Musalmans are in a minority the present weightage enjoyed by them to continue, but whether the seats should be reserved to a joint electorate, or whether they should have separate electorates should be determined by the Musalman voters by a referendum under the new constitution, and their verdict should be accepted. 3. That the Musalman representatives to the Central Legislature in both the houses should be 26 per cent of the total number of the British India representatives, and 7 per cent at least by convention should be Musalmans, out of the quota that may be assigned to Indian States, that is to say, one-third of the whole house when taken together. 4. That the residency power should vest in the federating Provinces of British India. 5. That the other points as follows being agreed to: (1) Sindh, (2) N.W.F.P. [North-West Frontier Province], (3) Services, (4) Cabinet, (5) Fundamental rights and safeguards for religion and culture, (6) Safeguards against legislation affecting any community. 1. That the Franchise should be on the basis of adult suffrage. 2. No special reservations to any other community save Sikhs and Hindu minorities. Gandhi was an unforgiving man. On August 1, 1946, he wrote to Vallabhbhai Patel from Poona: “I have not been able to answer your letter fully. The main problem is about Ambedkar. I see a risk in coming to any sort of understanding with him, for he has told me in so many words that for him there is no distinction between violence and non-violence. He follows one single principle, viz. to adopt any means which will serve his purpose. One has to be very careful indeed when dealing with a man who would become a Christian, Muslim or Sikh and then be reconverted according to his convenience. There is much more I could write in the same strain. To my mind it is all a snare. It is a ‘catch’. Besides, it is not necessary for him at present to insist on 20 p.c. If India becomes independent in the real sense—the provinces to some extent are—and if the caste Hindus are true to themselves, all will be well. If we negotiate with Ambedkar out of fear of the [Muslim] League we are likely to lose on both the fronts” (Collected Works of Mahatma Gandhi; Volume 85, page 102). It is unthinkable that Ambedkar would have uttered those words—and to a political adversary. Gandhi’s imagination played havoc with him. Maulana Azad received the same treatment. In a letter to Nehru on July 24, 1947, Gandhi wrote: “I did not say anything yesterday about the Maulana Saheb. But my objection stands. His retiring from the Cabinet should not affect our connection with him. There are many positions which he can occupy in public life without any harm to any cause. Sardar [Patel] is decidedly against his membership in the Cabinet and so is Rajkumari [Amrit Kaur]. Your Cabinet must be strong and effective at the present juncture. It should not be difficult to name another Muslim for the Cabinet” (Collected Works of Mahatma Gandhi; Volume 88; page 408). Thus, if Gandhi had had his way, Azad would have been excluded from independent India’s first Cabinet—a reward for life-long support to the Congress. Nehru rejected the advice. What Ambedkar called “this rather queer trait” in Gandhi’s character surfaced repeatedly. The Viceroy Lord Irwin with whom he concluded the famous pact that enabled him to attend the Round Table Conference, notified it. So did others like the writer Patrick French and the Viceroys, Wavell and Mountbatten. So did M.C. Setalvad in his biography of Bhulabhai Desai. Citing Gandhi’s letter to Bhulabhai, Setalvad remarked: “The saint politician exhibits himself in this letter as possessed of all the arts of politics and of sweet reasonableness. … It is amply clear that the action of the Working Committee in excluding Bhulabhai from the legislature had Gandhi’s complete support. Indeed the letter seems to have been a skilful attempt at persuading Bhulabhai to make a public statement that he did not desire to enter the Assembly so that the pressure of public opinion which was being brought to bear upon the Sardar and Gandhi to make him a Congress candidate may cease.” Setalvad published photocopies of Desai’s pact with Liaquat Ali Khan which proved that it had Gandhi’s full support. Bhulabhai was wronged by Gandhi (Bhulabhai Desai, Publications Division, 1968, p. 291). K.M. Munshi’s memoirs Pilgrimage to Freedom establish that Gandhi and Patel expected Britain to lose the war. Before the “Quit India” resolution was adopted on August 8, 1942, Gandhi sent Miraben (Madeleine Slade) to the Viceroy Lord Linlithgow, no doubt to explain matters. He refused to meet her. Gandhi was shocked at his arrest. On August 9, he told Mahadev Desai: “After my last night’s speech they will never arrest me” (ibid; page 2,356). The gamble failed. By August 1942, it was evident that the Axis would be defeated by Britain, the Soviet Union and the “unsinkable aircraft carrier” the United States. Ambedkar traced his folly and that of Jinnah in his book Pakistan or the Partition of India (1946). In the earlier work Thoughts on Pakistan he had stated the case for both sides. He now expressed his own views with a wealth of learning. Let Ambedkar speak for himself. From prison, Gandhi began correspondence with Linlithgow and got nowhere. He next sought talks with Jinnah on the basis of Rajaji’s [C. Rajagopalachari] formula after his release in 1944. Ambedkar called the formula “a snare and not a solution”. He also established that partition of Punjab and Bengal was inevitable if India was to be partitioned. Even in 2015 this book brings home to Indians and Pakistanis alike the egregious follies committed by their leaders at a crucial phase in their history with lasting harm to the entire subcontinent. It only remains to add that unlike the Congress leaders, especially the Mahatma, who denounced Jinnah in private in intemperate language—notably to Louis Fisher. “He believes he is a prophet.” As for Subhas Chandra Bose, “I do not encourage the Bose legend. I did not agree with him. I do not now believe he is alive. Instinct made me believe to the contrary at one time, because he had made himself into a legendary Robin Hood. … You have a high opinion of statesmen. Most of them are stupid” (The Life of Mahatma Gandhi, pages 472-474). This was said on July 18, 1946. However, at a prayer meeting on May 31, 1947, Gandhi said, “God Willing, Jinnah Saheb too will come and sit here one day and say that he is not, and never has been, our enemy” (Collected Works of Mahatma Gandhi; Volume 88; page 45). Three days later, the Partition Plan was announced. It was accepted by both the Congress and the Muslim League. Ambedkar criticised Jinnah but also admired and respected him. “Mr Jinnah, who represents this ideological transformation, can never be suspected of being a tool in the hands of the British even by the worst of his enemies. He may be too self-opinionated, an egotist without the mask and has perhaps a degree of arrogance which is not compensated by any extraordinary intellect or equipment. It may be on that account he is unable to reconcile himself to a second place and work with others in that capacity for a public cause. He may not be overflowing with ideas although he is not, as his critics make him out to be, an empty-headed dandy living upon the ideas of others. It may be that his fame is built up more upon art and less on substance. At the same time, it is doubtful if there is a politician in India to whom the adjective incorruptible can be more fittingly applied. Anyone who knows what his relations with the British government have been will admit that he has always been their critic, if indeed, he has not been their adversary. No one can buy him. For it must be said to his credit that he has never been a soldier of fortune.” Ambedkar continued to criticise Jinnah. But when Ambedkar sought Jinnah’s help to build a college it was readily given. Rights activist Binayak Sen has been denied permission to participate in an international seminar on health care in Kathmandu by a Raipur court. Dr. Sen sought permission to visit Kathmandu after confirming his participation to the seminar organisers and hence “the application is not bona fide” the court order said. Dr. Sen was invited by the United Nations (UN) Special Rapporteur on the Right to Health to speak in an international two-day seminar on providing health care in conflict areas. Anand Grover, UN Special Rapporteur on the Right to Health, told The Hindu that he is “surprised and shocked” by the court’s order. He said the report of the meeting would be presented to the United Nations Human Rights Council. Hours before his departure on Friday, a court order restricted Dr. Sen from visiting Kathmandu. “It is evident from the application that the applicant has agreed to take part in the programme without the permission of this court. He sought permission on June 28 and accepted the proposal (to visit Kathmandu) on June 21,” Additional Sessions Court judge Alok Kumar Upadhyay said in his order. “Dr. Sen agreed to attend the meeting (before June 21) before he sought a permission, so that the organisers could send him the accommodation and flight details and he could furnish those in turn (to court) with his application,” said Dr. Sen’s lawyer, S.K. Farhan. The details of accommodation and a copy of the air tickets to and from Kathmandu were attached with the application. Earlier, the court sought a reply from the police about Dr. Sen’s application, to which Additional SP, Raipur, Lal Umed Singh replied that Dr. Sen’s visit is detrimental to the country’s security. “Such foreign visits of Dr. Sen consolidate Naxal and Maoist networks. 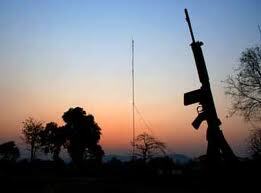 India’s internal security is also compromised,” Mr. Singh stated. “In view of increased Maoist violence, killing of security personnel and prominent political leaders, objection is raised against Dr. Sen’s foreign visit,” Mr. Singh told the court. Dr. Sen was invited to speak on healthcare delivery and accessibility to people in remote conflict areas, especially focussing Chhattisgarh. His topic was broadly described in the draft agenda as ‘availability, accessibility, acceptability and quality of health facilities, goods and services — duties and responsibilities toward affected populations, obligations of non-discrimination and medical independence, Treatment of parties to the conflict cf. civilians.’ He was supposed to speak on the first day of the seminar alongside health care and human rights activists from Burma, Pakistan, Afghanistan, India, Nepal and Sri Lanka. Jamshid Gaziyev, Special Procedures Branch, Katherine Footer of John Hopkins School of Public Health and International Committee of the Red Cross will be attending the seminar, according to the draft agenda. In April 2011, a Chhattisgarh Court directed Dr. Sen to surrender his passport as a bail condition in line with the Supreme Court order. While it is not mandatory to have a passport to travel to Nepal, Dr. Sen needs permission from court for any overseas travel. Earlier, he was allowed to travel abroad twice — to South Korea in 2011 and United Kingdom in 2012 — and on both occasions the Chhattisgarh court approved the travel. The circumstances surrounding the alleged suicide of journalist-turned-corporate communications expert Charudatta Deshpande in Bombay last weekend, has exposed the dark underbelly of one of India’s biggest corporates, and the stress, pressure and threats that hacks face when silence is no longer a conscionable option. Deshpande, 57, had resigned in April as chief of corporate affairs and communications at Tata Steel, having held that job for a little less than a year; he was due to join the PR firm Ad Factors on July 1. He had previously served as general manager, ICICI Bank, and prior to that as senior general manager of Mahindra & Mahindra. As a journalist, Deshpande had worked at The Daily, The Indian Express, The Economic Times, Business India TV, and theBusiness and Political Observer. A group of nine friends and colleagues of Charudatta Deshpande (including the president of the Press Club of Bombay) has written to Tata Sons chairman Cyrus Mistry and his predecessor Ratan Tata, urging them to institute a proper inquiry into the death. # Charu was being bullied into signing some documents/ bonds on June 29, a day before he took his life. # Charu was being blamed for “facilitating” a story (in picture, above) in Forbes India and was under enormous pressure to “admit” to his complicity in “leaking” confidential company documents to the media. # Charu was was under “house arrest” in Jamshedpur and that his cell phones were being tapped. # Charu was being called and threatened by an unnamed mafia. In his individual capacity, ICICI executive director Ram Kumar,a well known figure in HR circles, has also written to the Tatas on the “disgraceful” manner in which Deshpande’s services had been terminated, and the “untold pressure and threat at Jamshedpur” in the weeks preceding his death. Amazingly, or perhaps not, nobody from the House of Tatas, who routinely clamber on to the high moral horse, called on Deshpande’s family for three days after the alleged suicide and Ramkumar has alleged in his letter that a PR firm tried to “sully” Deshpande’s name after the death. On the other hand, ICICI Bank, where Deshpande had worked earlier, has facilitated a job for his son Gaurav, who graduates in two week’s time. We write to you as the collective conscience of a group of friends and former colleagues of Charudatta Deshpande, a former Tata Steel employee, who committed suicide on Friday, June 28, 2013. From whatever evidence we have gathered until now on the back of conversations with Charudatta in the weeks leading to his demise, and with those who knew him closely, Charu was placed under enormous stress and subjected to harassment by officials at Tata Steel. Our understanding is it was this harassment that prompted him to commit suicide. This letter is an attempt to bring this episode to your attention and seek your intervention into instituting an urgent and independent inquiry into the matter. Charu was head of corporate communications at Tata Steel. About a month ago, he resigned from the company. The events leading to his exit are relevant and we would like to place them before you for your consideration. 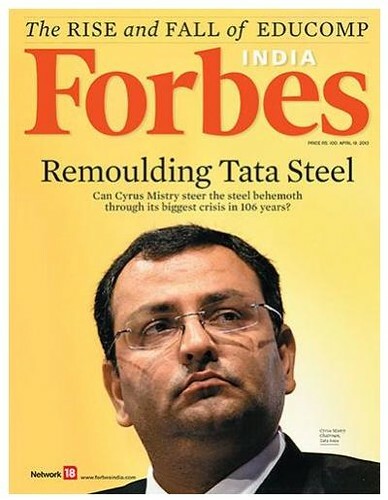 In April, a few months into his new assignment, Forbes India magazine ran a cover story“Remoulding Tata Steel”. The story is online here onhttp://forbesindia.com/article/boardroom/putting-the-shine-back-into-tata-steel/35049/0. It attempted to chronicle the challenges facing Tata Steel at a time when a crucial CEO succession drama was unfolding. The story was based on extensive and independent reporting that lasted more than five months. Soon after it appeared in print though, a distraught Charu got in touch with those of us at Forbes India and alleged officials at Tata Steel were placing the blame on him for “facilitating” a story they thought inimical to their interests. He added he was subsequently grounded for more than two weeks; that for all practical purposes was “under house arrest” in Jamshedpur; that his phones were being tapped; and that he was being subjected to enormous pressure to “admit” to his complicity in “leaking” confidential company documents to the media. Many of us have worked in the past at various newsrooms including at the Economic Times where he was a senior editor. We have also known him professionally in his stints as head of corporate communications at organisations such as ICICI Bank, Mahindra & Mahindra and Tata Steel. We remember him as a thorough professional who placed a premium on the interests of the organizations he worked for. Each one of us can personally vouch that in his interactions with us, he has never behaved irresponsibly or tried to damage the reputation of the firms he represented. Those of us who were at Forbes India when the story on Tata Steel was being researched are willing to testify on any forum that matters he conducted himself with integrity and responsibility. What we also know of the events that preceded his death are outlined below. 1. He was in discussions with officials at Adfactors PR, with whom he was negotiating employment prospects. He told them he was being called and threatened repeatedly by a ‘mafia’ – a term he used constantly; and that his cell phone was being tapped. 2. He had informed a friend that he was being bullied into signing some documents/bonds on June 29, a day before he took his life. 3. Immediately after the story appeared, he was in constant touch over the phone with Indrajit Gupta, the founding editor of Forbes India. He confided in Indrajit Gupta and spoke of being confined for over two weeks at Jamshedpur, being harassed after the story appeared in the magazine, was not allowed to travel without permission, and articulated his concerns about his cell phone being tapped. Despite being advised to escalate the matter to higher authorities, including the Tata Headquarters at Bombay House, Charu insisted it would be futile and make things worse for him. Whatever be the circumstances behind his exit, most of us assumed he would put the setback behind him and move on. However, he alleged the threatening phone calls he got even after exiting he company was causing him a lot of stress. What transpired after Charu passed away was even more despicable. Even as the news of his demise trickled in on Friday evening, there were concerted attempts made by Tata Steel officials and the PR agency to pass off his death as a heart attack, and not a suicide. A senior PR official even insisted that he had visited Charu’s residence and confirmed the news of the heart attack, which turned out to be untrue. Some regional papers even hinted he had embezzled funds. We believe this is an attempt to tarnish the reputation of a senior professional and take the focus away from the root cause behind his untimely death. Discussions with Charu’s family have revealed he had no personal problems or disputes there. His brother-in-law Mahesh said Charu was extremely disturbed and depressed in the month before he finally quit Tata Steel. Mahesh also spoke of Charu confiding in the family he made a serious mistake in joining Tata Steel. These apart, he also spoke of having been let down by the company on various counts and not being provided manpower and resources he was promised when he joined. The Tata group has nurtured a long tradition of practising and upholding the highest standards of ethics and probity in public life. Nothing that we now do can redeem what has happened. But for the sake of justice, we would urge you to institute an inquiry into this matter. If nothing, it will help bring closure to a traumatic episode for Charu’s family and his circle of friends. Equally importantly, an inquiry of this kind will go a long way to ensure episodes of this kind don’t occur again. The all of us who have signed on this note would be willing to aid any inquiry process you choose to institute by providing evidence and witnesses with whom Charu had spoken to before his demise. We trust the both of you will do what is right. My Eyes closed, fervently wishing this to be a bad dream. He once jokingly said- Sambhal ke rakhna Amitabh Bachchan na lae jaye !! If you agree with the following Text and wish to be one of the signatories of this letter, please send your signature (Name, Profession , City/State) at activist.journalist@gmail.com by 12 PM tomorrow (2nd July 13).